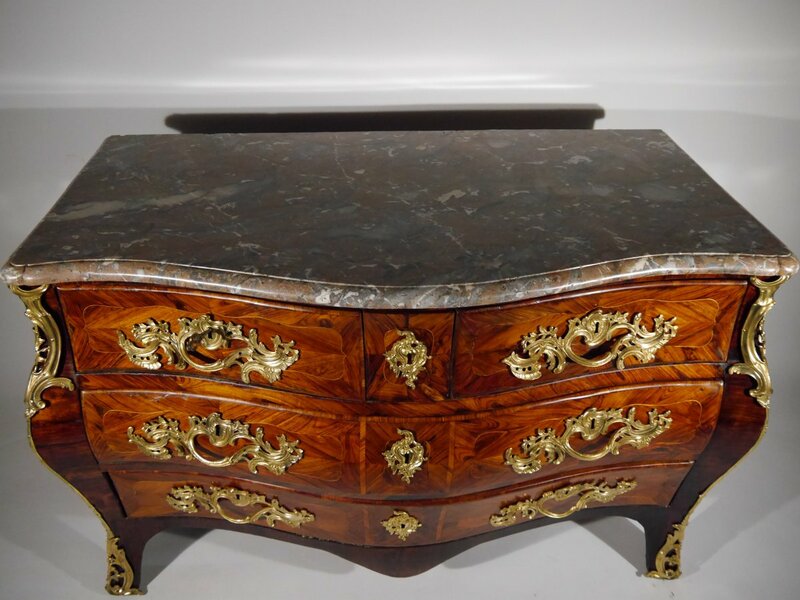 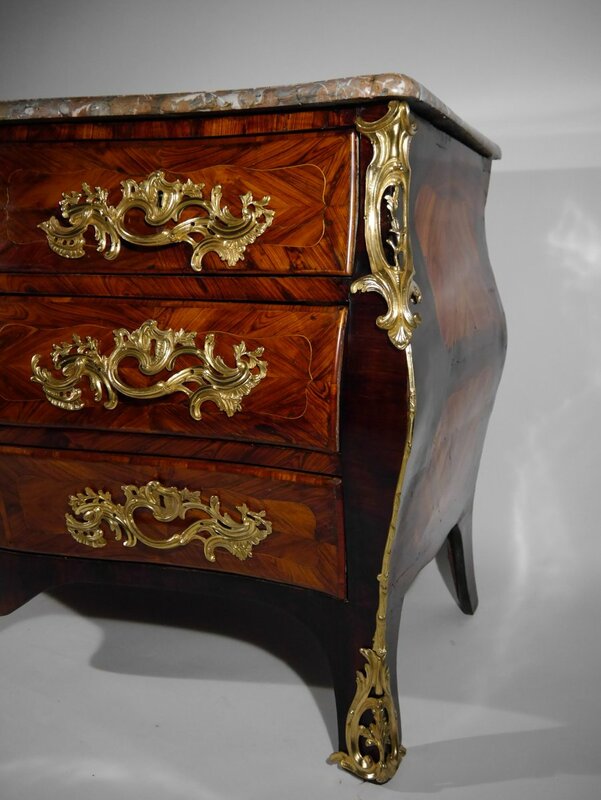 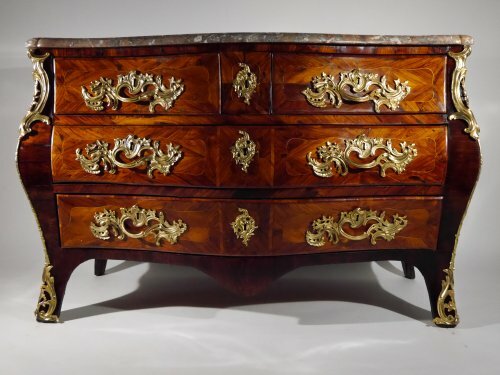 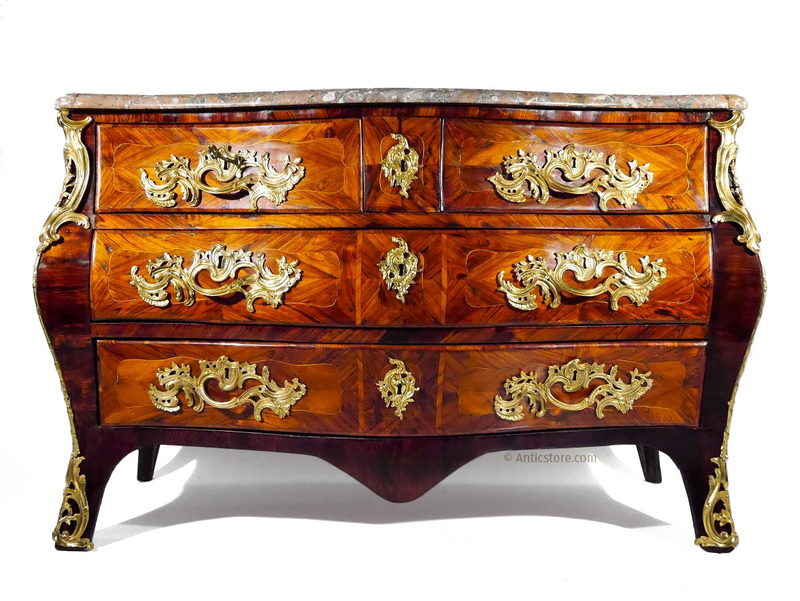 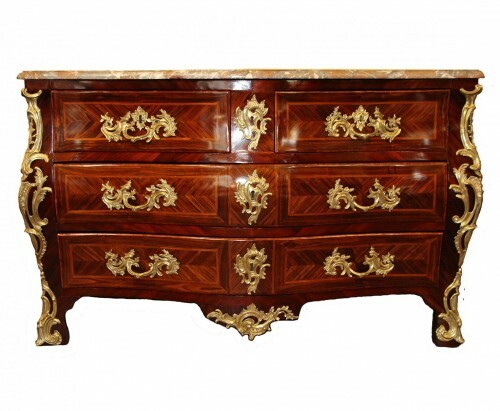 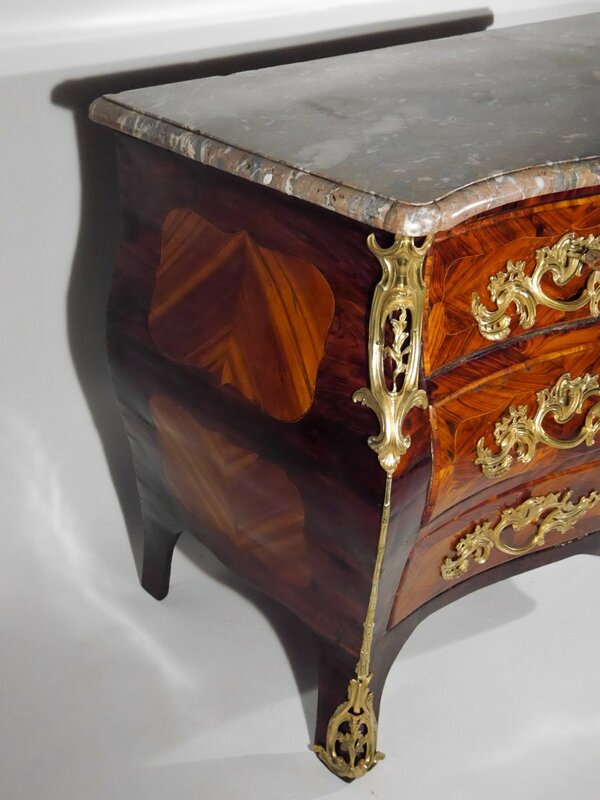 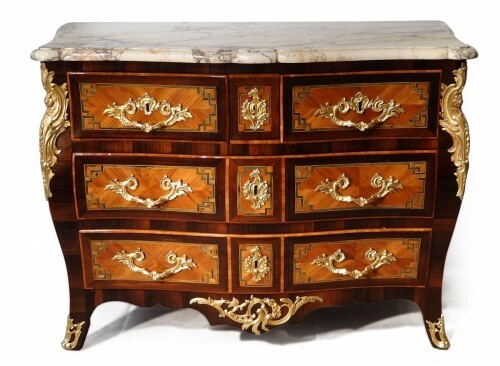 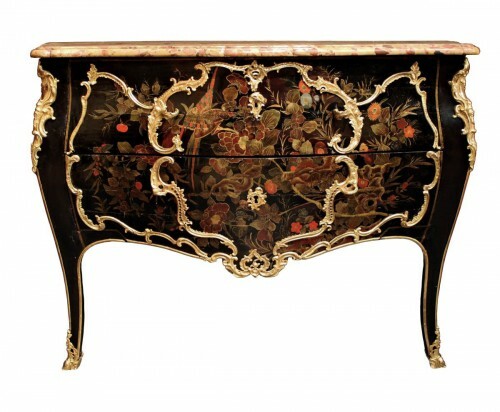 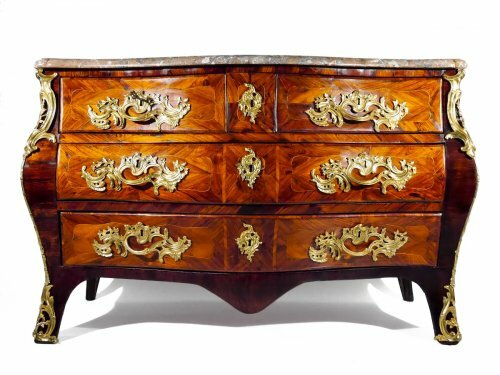 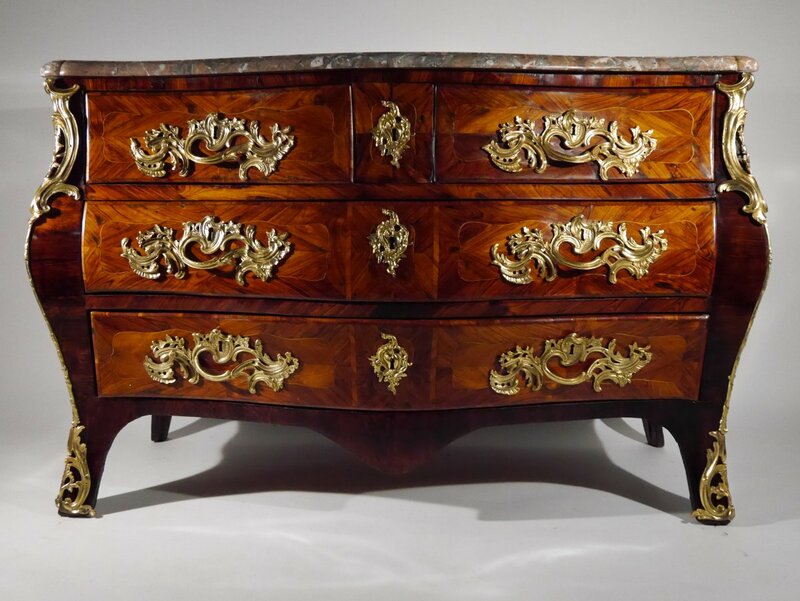 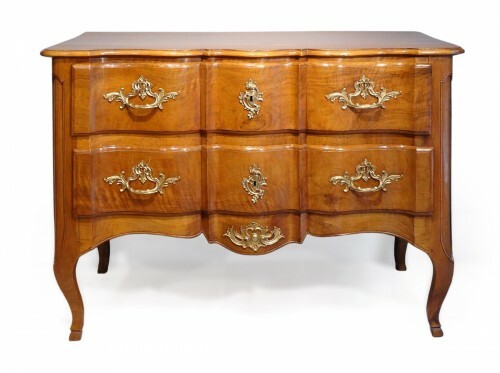 A Louis XV chest of drawers stamped L.N. 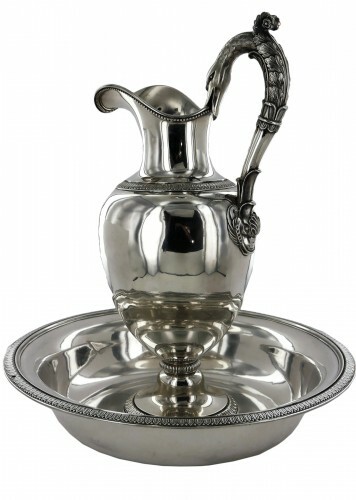 Malle. 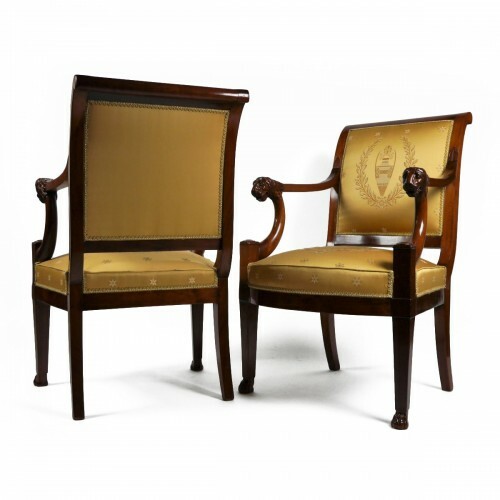 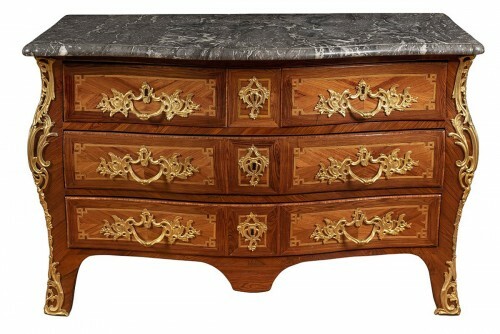 Rosewood, kingwood, red-grey marble "Turquin de Caunes". 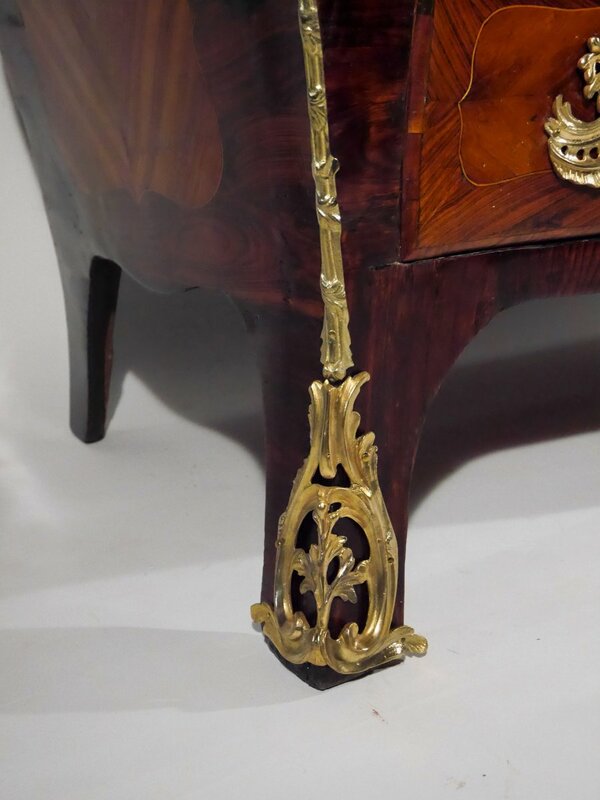 Condition report: restored in our workshop in August-October 2017.